Welcome to 2017! In previous posts, especially this one, I’ve noted that the Old Testament and even the New Testament are rife filled with references to other gods, or a plurality of gods (which are actually angels or archons, according to the Christian and Gnostic traditions). This is especially evident in the Apocrypha like the Books of Enoch, Jubilees, the Dead Sea Scrolls, and the Nag Hammadi Library. Many are brainwashed by such dogma as the Nicene Creed of Orthodoxy and Catholicism into thinking that Moses taught monotheism on Mount Sinai from Yahweh. He didn’t. They tell us that the Judeo-Christian tradition has always believed in only one God since the beginning. It didn’t. In fact, monotheism wasn’t even part of church doctrine until well into the Middle Ages. It didn’t even exist in the minds of the ancient Hebrews or Egyptians until the late 600’s BCE, long after Moses and the early Prophets. As we saw, the Bible is one of many places that the tradition of “many gods” can be found. On the day when the Kittim fall, there shall be battle and terrible carnage before the God of Israel, for that shall be the day appointed from ancient times for the battle of destruction of the sons of darkness. At that time, the assembly of gods and the hosts of men shall battle, causing great carnage; on the day of calamity, the sons of light shall battle with the company of darkness amid the shouts of a mighty multitude and the clamour of gods and men to (make manifest) the might of God. And it shall be a time of [great] tribulation for the people which God shall redeem; of all its afflictions none shall be as this, from its sudden beginning until its end in eternal redemption. By interpreting them, they established many heresies which exist to the present among the Jews. Some say that God is one, who made a proclamation in the ancient scriptures. Others say that he is many. Some say that God is simple and was a single mind in nature. Others say that his activity is linked with the establishment of good and evil. Still others say that he is the creator of that which has come into being. Still others say that it was by the angels that he created. Back in the Dead Sea Scrolls, specifically in the War Scroll (IQM, 1Q33, 4Q491-7, 4Q471), it mentions a church of gods, and that Michael reigns over a kingdom of gods. They also specify that these are living gods, indicating their real existence outside the imagination. Be strong and fear not; [for they tend] towards chaos and confusion, and they lean on that which is not and [shall not be. To the God] of Israel belongs all that is and shall be; [He knows] all the happenings of eternity. This is the day appointed by Him for the defeat and overthrow of the Prince of the kingdom of wickedness, and He will send eternal succour to the company of His redeemed by the might of the princely Angel of the kingdom of Michael. With everlasting light He will enlighten with joy [the children] of Israel; peace and blessing shall be with the company of God. He will raise up the kingdom of Michael in the midst of the gods, and the realm of Israel in the midst of all flesh. Righteousness shall rejoice on high, and all the children of His truth shall jubilate in eternal knowledge. And you, the sons of His Covenant, be strong in the ordeal of God! His mysteries shall uphold you until He moves His hand for His trials to come to an end. 6 I (the speaker is God) have said, “You are gods (Myhl); )eloh|4m); and all of you are children of the most High (!Ayæl. [, ynEßb. ; be ne, (elyo4n). 7 But you shall die like men, and fall like one of the princes. To whom is he speaking? The Jews at Sinai? No – the other elohim of the council in verse 1 of Psalm 82 are the audience. When Jesus quotes Psalm 82:6, he is mouthing the words of Yahweh (the original speaker in 82:6) and quotes the passage as it originally reads – God speaks to the other elohim. Jesus is not using the verse to say that Psalm 82 had God speaking to the Jews at Sinai. Verse 7, the next verse, confirms this interpretation, since it says that these gods to whom God was speaking would “die like men” – if they were already men, this makes no sense. Who are the princes? See Daniel 10 – divine beings (the same Hebrew word for Michael and Gabriel beings “princes” is used here in Psalm 82:7 – r#o – sar). POINT: Jesus does not view the plural elohim of Psalm 82:1 as mere humans, and there’s a reason this is so. The reason he quotes this verse is NOT to claim he’s just a man who can call himself a god like other men – it’s to claim deity as a son of the Most High, and to DISTINGUISH himself from the other sons. The former is the direct impact of John 10; the latter requires taking John 10 in the context of Jesus and John’s prior descriptions of Jesus in this same gospel as the “monogenes” – the UNIQUE son. Seeing that everybody, gods of the world and mankind, says that nothing existed prior to chaos, I, in distinction to them, shall demonstrate that they are all mistaken, because they are not acquainted with the origin of chaos, nor with its root. And it is these gods that are actually subservient to what the text calls “Yaldabaoth,” the child of chaos or the Satanic demiurge and material principle. Since that day, there appeared the principle of verbal expression, which reached the gods and the angels and mankind. And what came into being as a result of verbal expression, the gods and the angels and mankind finished. And in the place of the indivisible one there are twelve springs, and upon them twelve fatherhoods, surrounding the indivisible one in the manner of the deeps or these veils. And there is a crown upon the indivisible one in which is every species of life : and every triple-powered species; and every incomprehensible species : and every endless species ; and every unutterable species; and every silent species ; and every unmoved species ; and every first-visible species ; and every self-begotten species ; and every true species ; all being within it. And in this is every species and every gnosis. And every power receives light from it.And every mind is revealed in it. This is the crown which the Father of the All gave to the indivisible one, in which there are 365 species, and they shine and fill the All with imperishable and inextinguishable light. In the Gospel of Thomas, Logion 30, Jesus seems to indicate the reality of the divine mystery of the Trinity. But as in due course, we will see this mystery is anything but. Death will tremble and be angry, not only he himself, but also his fellow world-ruling archons, and the principalities and the authorities, the female gods and the male gods, together with the archangels. In the Hermetic-Stoic text Asclepius 21-29, it says that certain Gnostic human beings or Hermetic sages have expanded their spirits enough to be indeed enlightened dual beings–being of both spirit and matter and actually contain in themselves the ability to create gods through their theurgical rituals which tap into the realms of the imaginal, in which I will discuss later. “And it happened this way because of the will of God that men be better than the gods, since, indeed, the gods are immortal, but men alone are both immortal and mortal. Therefore, man has become akin to the gods, and they know the affairs of each other with certainty. The gods know the things of men, and men know the things of the gods. And I am speaking about men, Asclepius, who have attained learning and knowledge. But (about) those who are more vain than these, it is not fitting that we say anything base, since we are divine and are introducing holy matters. For the gods, since they came into being out of a pure matter, do not need learning and knowledge. For the immortality of the gods is learning and knowledge, since they came into being out of pure matter. It (immortality) assumed for them the position of knowledge and learning. By necessity, he (God) set a boundary for man; he placed him in learning and knowledge. 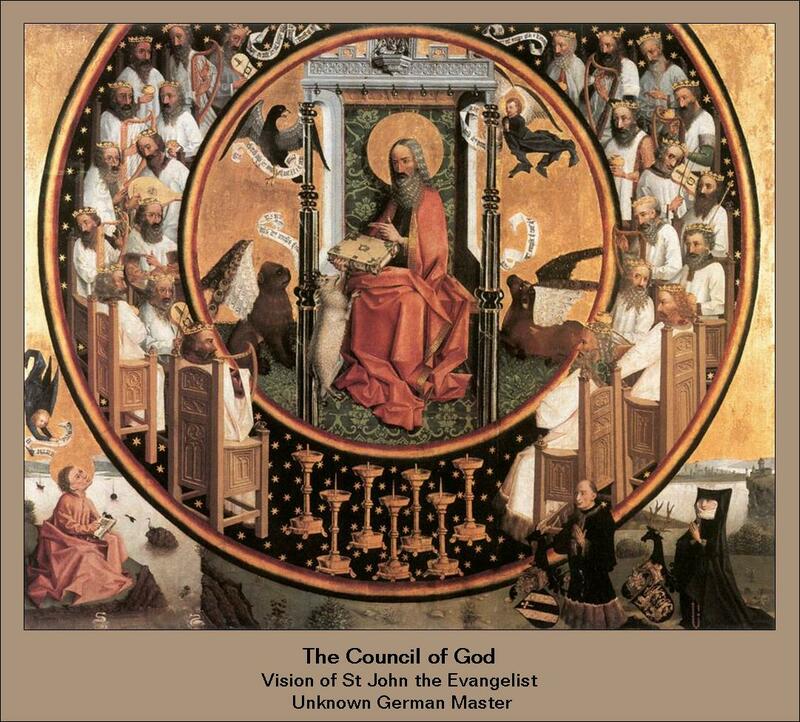 We do not know whether the Unknowable One has angels or gods, or whether the One who is at rest was containing anything within himself except the stillness, which is he, lest he be diminished. In other words, the fruit from the tree of knowledge would give Eve the perspective and “knowledge” of the Elohim. The Hebrew word elohim can mean either “God” singular or “gods” plural, depending on the verb. The Hypostasis of the Archons clarifies the matter, explicitly saying that Eve would become like the gods but the “chief ruler” or Yaldabaoth/Yahweh, out of jealousy, damned the primal couple, when they were expelled from the Garden of Eden. Moreover, the book of Jubilees (3:19) found among the Dead Sea Scrolls also confirms that “gods” plural is the original meaning. And the serpent said unto the woman, ‘Ye shall not surely die: for God doth know that on the day ye shall eat thereof, your eyes will be opened, and ye will be as gods, and ye will know good and evil. The Genesis account presents us with one single all-powerful Creator God and yet has a few references to the Elohim in regard to both the Trees of Knowledge and Life. Does Jesus say anything in reference to Genesis? Actually, Jesus never does affirm that the earth was literally created in six days nor does he affirm the literal creationist timeline as creationists might have you believe. There is only one reference out of the entire New Testament that discusses the creation account in the 7 day period including the day of rest in Hebrews 4:3-7, a text, by the way, which had a hard time entering into the traditional canon, much like Revelation. Moreover, the opening verse of John’s gospel, “In the beginning was the Word,” presents a creation account that appears to be aimed at competing against Genesis 1. The Greek word Logos implies logic, order, and reason, which is the exact opposite of what Genesis 1 says about the earth being “without form and void.” This indicates that the Logos was sort of a demiurgical force that gave some sort of semblance of order from the chaotic abyss, from which Yaldaboath, the god of the void, also emerges from. Henotheism is the belief that many gods exist, but that only one God should be worshiped. Unlike monotheism, there are truly many gods and they really do exist. Yet unlike polytheism, not all the gods are worshiped. Only one of them is worshiped, and the rest are profane and are to be shunned. Henotheism explains why James the brother of Jesus and Saint John the Apostle, together with all the Prophets, were so thoroughly against idols and eating meat sacrificed to idols, even to the point where it was one of the few regulations of the Old Testament that they insisted non-Jewish Christians must keep in full as stated in Acts 15:29. 19 What do I imply then? That food offered to idols is anything, or that an idol is anything? 20 No, I imply that what pagans sacrifice they offer to demons and not to God. I do not want you to be participants with demons. 21 You cannot drink the cup of the Lord and the cup of demons. You cannot partake of the table of the Lord and the table of demons.22 Shall we provoke the Lord to jealousy? Are we stronger than he? Henotheism explains why idolatry is the most frequently mentioned offense in the entire Bible–for if God is all-powerful, then an idol is nothing, and it would only be an inconsequential joke and hardly worth the mention. But if idolatry truly serves other gods that truly do exist, and if sacrifices to idols truly feeds those gods, then this explains why Yahweh and his Prophets are so vociferously against idolatry. For if there are other gods, then these gods are truly a threat to Yahweh and to his Messiah, and therefore it is particularly important that idolatry does not infiltrate the ranks of the faithful, for it truly gives enemies a foot in the door by which they can infiltrate the armies of Yahweh. The God of Henotheism is actually competing against other gods who are real. Worshiping other gods is serving other gods, and serving other gods undermines the power of your covenant God, and this is tantamount to adultery against your God and treason against your nation. In such terms, the Prophets speak of idolatry. This line of thinking only makes sense in light of Henotheism. If God were Almighty, then the overarching importance of the prohibition against idols makes no sense at all, because in a monotheistic system, and idol has no power. Which is worse, praying to rocks and dead trees, or committing murder? In a monotheistic system, the first is laughable but the second is quite heinous. But in a Henotheistic system, idolatry is even more heinous than murder, for murder can only kill the body, but idolatry kills both body and soul, for it puts the soul at the mercy of gods who care not for humanity. Only within the framework of Henotheistic thinking does it make sense that idolatry is a worse crime than murder, theft, sexual perversion, or any other infraction. Seeing that the Bible condemns idolatry more frequently than any other sin, this is a case for Henotheism. Idolatry is also considered the same as adultery by Jesus as well in Matthew 5:27-28. 2 Then they carried the ark into Dagon’s temple and set it beside Dagon.3 When the people of Ashdod rose early the next day, there was Dagon, fallen on his face on the ground before the ark of the Lord! They took Dagon and put him back in his place. 4 But the following morning when they rose, there was Dagon, fallen on his face on the ground before the ark of the Lord! His head and hands had been broken off and were lying on the threshold; only his body remained. In the text Ruth 1:15-17, we have Naomi who was a Hebrew who believed in Yahweh, but here she sanctioned the worship of other gods besides Yahweh, but only for those outside the Hebrew nation. In Jeremiah 48:7, the Moabite god Chemosh is said to be bound in chains like an actual person, thanks to Yahweh’s invasion. As stated in earlier posts, we saw that many of the western Semitic peoples, including Hebrews, Canaanites, and the more archaic city of Ugarit, believed in a Father-God called El, which corresponds to the Greek Ouranos. The name El and its variants are known throughout the Bible, El, Elyon, El-Shaddai, and Eloah. They believed El spawned a brood of sons called bn-Ilm (Ugaritic) or beni-ha-Elohim (Hebrew), which means “sons of El” or “sons of the God,” and that these sons of El participated in some kind of divine government called “the congress of the gods.” Mark S. Smith in the book The Origins of Biblical Monotheism: Israel’s Polytheistic Background and the Ugaritic Texts, tells us that the Psalms 82 reference of the “divine council” scene, doesn’t actually portray Yahweh as the head of the assemblage. 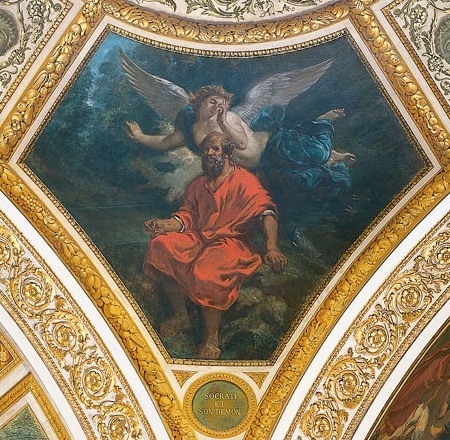 Here the figure of God, understood as Yahweh, takes his stand in the assembly. The name El was understood in the tradition – and perhaps at the time of the original text’s composition as well – to be none other but Yahweh, and not a separate God called El. “blessed the God of gods, who had put the word of the Lord into his mouth, and the Lord for evermore.” Jubilees 8:20-21. What this passage means is this: The Father-God Elyon divided the nations according to the number of sons he had, and so each nation got its own god. Your Bible might say “sons of Israel” in place of “sons of Elohim,” but both the Dead Sea Scrolls and the Septuagint attest that the Bible originally said “sons of Elohim” not “sons of Israel,” as does Irenaeus also (Against Heresies 3.12.9). Many scholars believe that the Hebrew Bible was intentionally corrupted by the monotheists to read “sons of Israel” because later Judaism evolved to become monotheist. In other words, the God of Israel’s rightful destiny is to ultimately conquer the other gods and appropriate their inheritances. In a world filled with warfare and hostile nations, the logical thing to do is to have your nation and the god that rules over it, top dog. That is exactly how the ancient Israelite’s viewed such things. Yahweh should be president in the congress of the gods and should have the power to make war with the other gods and take away their power. This is especially evident when we study the Psalms and the life story of King David. David’s covenant or pact with Yahweh was simple: you keep me from being killed by my enemies, and I will conquer all Israel’s neighbors for you. The covenant was a contractual obligation between two parties for their mutual benefit. The benefit to David was a long life. The benefit to Yahweh was the conquest of Edom, Moab, Philistia, Syria, Ammon, and the national unity of Israel. Once this is understood, David’s Psalms make sense. His frequent mention of the underworld and his intense fear of death–coupled with his description of Yahweh as a god of war with nostrils filled with fire, riding on thunderclouds, sword in hand, hurling lightning bolts, and shooting arrows at his enemies, along with multiple songs of victory–these features are consistent with David’s incessant wars of conquest against all Israel’s neighbors. In this god-eat-god cosmic system, David wanted to ensure Yahweh was the top dog or the king of the jungle–hence the image of the lion and the serpent associated with the Jewish god. This sort of alliance system between gods and humans is what Old Testament covenant theology is all about. When Israel went to war, they carried the throne of Yahweh into battle, the Ark of the Covenant, because Yahweh was their commander and ally. Before they attacked, they consulted with Yahweh, to make certain he approved of the military action. Every war was a holy war against some other competing nation and its god. Expanding the boundaries of your nation meant expanding the empire of your covenant god, and your god would reward you for it. “Do not think that I came to bring peace to the earth. I did not come to bring peace, but a sword?” Luke 12:51, Matthew 10:34. Jesus, is in essence, a holy warrior. Jesus says things like this because he knows he is in an all-encompassing cosmic battle with the chief principle of matter of this world–Satan–as well as his hordes of demons. Jesus Christ made friends with the poor and the wretched, the prostitutes, and social outcasts. He was not looking for ethical or self-righteous people. He was looking for loyal people, worthy to his cause. He was looking for people in the dregs of society or the worst of sinners who would fight for him–who would risk everything for him because they had nothing to lose anyway. Jesus is presented as not an all-powerful being but a god among gods, who must fight his way to become chief of the gods, or else he would become a slave to gods more powerful than himself–at least in this world anyway. He wants violent people, red hot for their faith and devotion to his cause rather than embrace a universalistic religious message as espoused by more pacifist saints. That is why Jesus says he will vomit out the lukewarm in Revelation 3:16. Jesus continually talks about the wicked hearted hypocrites and calls them vipers and perverse. He also referred to gentiles as dogs. The Lord wasn’t some friendly hippie that the New Age makes him out to be. He’s too much of a truth teller so they killed him for it. Jesus continually told his disciples to count the cost of being loyal in his service. In Luke 14:25-33, he tells them to properly anticipate all the costs of being associated with the Son of God in terms of building towers and warfare strategies similar to those devised by Sun Tzu. However, very few make it past the veil and are indeed victorious over the world. If I’m right, and all these deities have competing interests and are recruiting followers on earth for unseen cloak-and-dagger conspiracies on the other side, Jesus could be some opposing force that steals their recruits and diminishes their ranks, which would explain why they hate him so dearly. Jesus, in essence, would be like the “get out of jail free” card of the spirit world. This also explains why the other gods also hate Yahweh, because he is in constant war and competition with them. So, were the Gnostics right in saying we are in a prison house or insane asylum ruled by multiple cosmocraters and demonic archons? And that Jesus chooses to baptize those who he wants to be his disciples? The Excerpts of Theodotus say something to this effect. Now, regeneration is by water and spirit, as was all creation: “For the Spirit of God moved on the abyss.” And for this reason the Saviour was baptized, though not Himself needing to be so, in order that He might consecrate the whole water for those who were being regenerated. Thus it is not the body only, but the soul, that we cleanse. It is accordingly a sign of the sanctifying of our invisible part, and of the straining off from the new and spiritual creation of the unclean spirits that have got mixed up with the soul. Some of the archons would undoubtedly be less evil than others. Some might not even be evil and may be, in fact, good, but their ultimate intentions may not be so pure. They could, perhaps, all desire power, worship, and honor, even the good ones, so even if you serve the good archons, you’re still a slave. Jesus is some formerly unknown alien infiltrator who showed up out of nowhere and began zapping people out of the sphere of the archons. Yahweh would be one of the archons, not the true father of Jesus Christ. Maybe he’s a good archon, but he still wants power, glory, and submission. This is the Gnostic belief. Sabaoth, the “Lord of Forces” would essentially be Yahweh as we think of him today. The malicious aspects of the OT deity could be Yaldabaoth or Satan. They would all be part of the Elohim or the original pantheon of divinities worshiped in ancient Mesopotamia. The Marcionites believed that the ones who would be saved were those who were cursed by the demiurge and were unfairly treated in this world, i.e., sinners and outcasts, kind of like Cain, Korah, Balaam, and other so-called bad guys of the Old Testament. Because these sorts of people were so unfairly mistreated in the world, the Marcionites thought, they would be the only ones who would be opening to receiving the radical gospel about the alien God of Jesus Christ. They were the perfect soldiers for Jesus’ controversial and exclusive message of his divine sonship, the redemption of the believer and the coming judgment and destruction of the cosmos through the fiery conflagration. This is perhaps where some mythicists go wrong. They are right in saying that Jesus shares many similarities with other pre-Christian gods and their dramatic stories. Jesus also shares similarities with other enigmatic and magical figures in the Bible like Simon Magus, etc. But to say that Jesus was simply invented in the twisted, archonic minds of the Roman rulers or invented by some unknown cabal is exactly what the controllers want you to believe. This is exactly what Gnostic texts like On the Origin of the World is refuting! “Now the Word that is superior to all beings was sent for this purpose alone: that he might proclaim the unknown. He said, “There is nothing hidden that is not apparent, and what has not been recognized will be recognized.” And these were sent to make known what is hidden, and the seven authorities of chaos and their impiety. And thus they were condemned to death. I definitely don’t think it’s mythology. I know it’s not mythology. These entities are real. Once you conjure to manifestation, you know of their reality forever. And of course, they know that you know of their reality forever. You get marked, essentially. Whether by Jesus Christ or some other demonic being. And we have to decide which team to side with since they are all fighting for our souls. But believing Jesus or Paul were real people doesn’t mean you need to buy into the tenets of orthodox Christianity, or of any other kind of Christianity, for that matter. The Soul of the World, collective unconscious, or Imaginal Realm, is the very source of which all the gods emerge from, like droplets from a wave. In other words the gods, daimons, and myths of the Imaginal Realm are not in the Imaginal Realm etc.–they are the Imaginal Real. 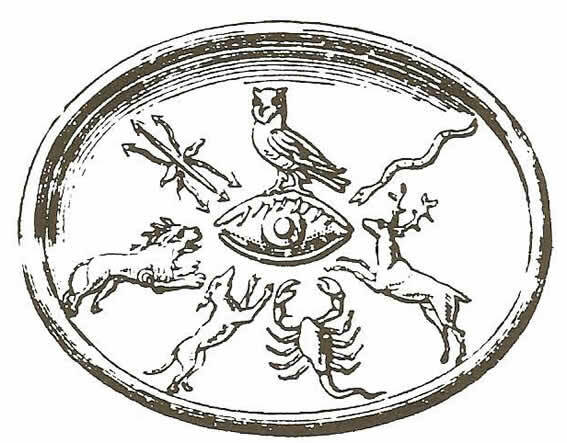 It is this dynamis or power from which many Gnostics drew their strength from to create the gods through occult means similar to that of creating egregores as hinted at in the Hermetic text, Ascelpius. In fact, it is a dynamic, tempestuous place that constantly branches into “our” world–its tendrils leaping into the physical plane, the mental plane (our thoughts/imagination) and our psychological complexes and dreams. 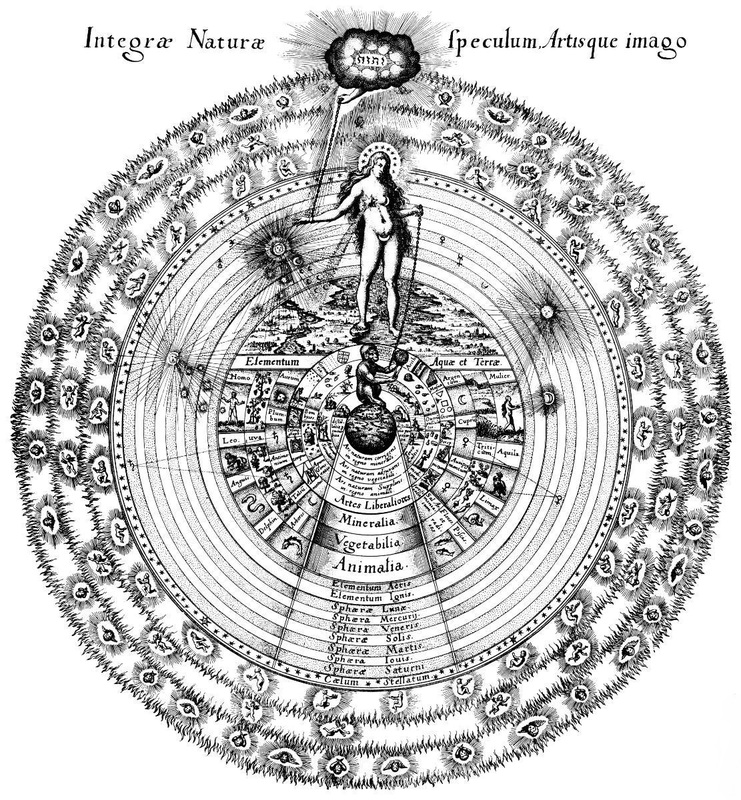 The Anima Mundi, the daimonic reality in which our spirits also originate from, also exists within each of us–it is a plan of being that is as much “out there” as it is “within us,” as as opposed to how the “unconscious” part of the collective unconscious suggests as area of being that can be reduced to psychological factors. It is also connected to the idea of the “vault of heaven” as per Genesis or the demiurgical “womb” of the Cainites per the church father Epiphanius. And it is the means by which we can create physical reality and impress our will upon (e.g) the law of attraction–a subject and direction that will be explored further in depth, this year in 2017.